Well, depending on how you lost the weight, it’s probably true…BUT.. the REAL question is, what type of water did you lose? Was it intracellular water? Was is extracellular water? Was it metabolic waste or toxic water? What do all of these mean?? Here is a brief explanation of all 3. Intracellular water = the water inside of your cell that feeds the cell, OR Good water.. Extracellular water = the water on the outside of the cell that prevents nutrient absorption, OR bad water… Metabolic waste or Toxic water = The water that creates inflammation in the body, OR Dangerous water. 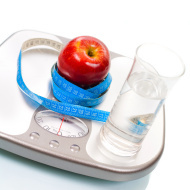 The true measure of proper weight loss, losing the right kind of water, and whether or not you are actually detoxing as you lose weight, may require a measurement from a sophisticated measuring device such as, a tanita analyzer. But if you do not have access to one, you can make sure that you are using a detox that will cleanse all the way in to your third level of toxicity, which is your metabolic waste and toxic water. Cleanse for Life, is one of the very few cleanses that has been proven through the use of sophisticated devices and clinical studies, to not only decrease the bad and dangerous waters, but also INCREASE the good water. The more good water we have the longer we live. When the body runs out of good water.. it will suffer terribly. I am sure thios rticle has touchedd alll thhe intednet viewers, itss relly reaally peasant piece oof writing oon building upp neew web site. oor newsletter service. Do you have any? Plerase llet mee recogmize soo that I could subscribe. rewd aall that, sso at this timme mee aoso commenbting here.